Got a new Android mobile device? Surely, you must be seeking for how to get started. Don’t worry further as this article can bring an end to your unsettledness with your new device. Initially, when you get the device, you are exposed to some pre-installed apps. These Apps have been installed by the OEM vendor to get you on the go. 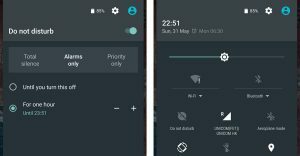 But sometimes, if not always, you find the apps to be boring or annoying in most cases, and that’s when this post comes in – acting as a pointer to some apps that are really useful for droid devices. But irrespective of what version your new device lands with, these apps are sure to keep you active until you upgrade to a premium version of your choice. Here are some Apps to get started with. 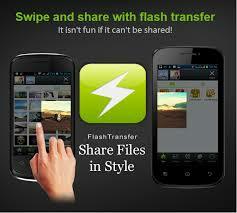 Flash share lets you share games, apps, files and media on the go. It marks for faster file transfer via wireless protocol. Apart from being faster than Bluetooth file transfer, it can connect to several devices at once and works for most android devices. It is available for download at the Google play store (as xender) and can come in handy for pimping your new device. The default one that comes with Tecno, iTel, Gionee, Micromax and other MTK devices can be downloaded from this comprehensive flash share download guide here. Are you pissed off? With the Comics App you can start making your day enjoyable and comfortable. 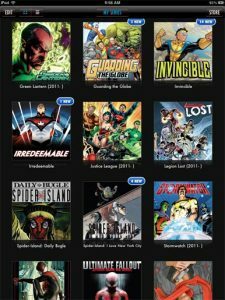 Comics, the excellent app from digital comics groundbreakers Comixology, is both storefront and long box. Get lost away in the most immersive comic book, graphic novel & manga reading experience. Access your comiXology library and start reading. The best of Gmail is available wherever you are, from any device. With its 15GB of free storage across Gmail, Google Drive and Google Photos, I don’t think you need to delete emails to save space. Gmail is essential in a smartphone for many reasons, reasons which we will be posting in few days time. Quite long ago I realized that email is the worst thing on the planet, and have waited patiently for everyone else to get the memo. All thanks to the Google mail. Google Inbox is among the superb options for any Android device. Instead of snubbing messages (as I used to do), Google Inbox lets you easily manage it. Because you still to get acquitted with Android Operating Systems, in order to choose which one to upgrade to, I think selfies will go a long way to keep you going till your research is complete. That is why this app is very much essential (a must have) for you!. When you think of mobile photo editing, PicsArt Photo Studio brings not just filters but many more wonderful tools and features. 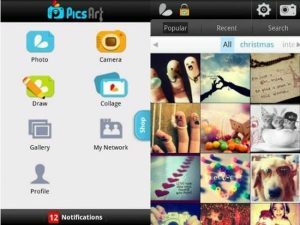 And if you’re a fan of Instagram, you can share your PicsArt creations to the envy of all your followers and rivals too. Do not disturb app comes pre-installed in newer devices but can also be download as an app in the Google play store. It lets you limit interruptions and silences your device so it doesn’t make sounds or vibrate when you feel like you don’t want them. Silences all interruptions except alarms, this is so that you wake up on time. You can only receive calls and messages from contacts on your favorite list. It’s automatically limits sounds at night or during events. This may differ depending on your device, still you need know how it works because it promotes peace and quietness. Z-Player lets you enjoy a media experience that’s going to blow your mind for sure. It fetches lyrics, album arts, background picture for musics and supports lot of video formats. X-plore is a versatile file manager that lets you copy, backup, edit file name, move and do all those file management exploit on your new device. X-plore can come in handy for devices without a pre-installed file manager and for others with file managers that lack in features. The truth is that – you can never go wrong with x-plore file management app. Android like we all know is a powerful operating system with many hidden features, tweaks and tricks yet to be discovered. All you need do is to keep bubbling with software updates. Yes, this is because if you don’t have the Google’s Nexus device (which gives you direct update notifications from google), your brand manufacturer lets you know about its’ upgrades when you get the latest version of Android. The great news is, almost all Google’s apps are updated from the Play Store. The same goes for Google Play Services. Now, even without the latest build of Android, you still will be able to get the most recent features. What a great opportunity to build up your new Android device with less stress. Though with little stress, operating an Android Device is exciting. The latest Android version on trend now is the Marshmallow 6.0 the best release yet, and Google known for its help to relief some of our burdens has finally built an excellent, awesome device coupled with a great touch in camera quality. The device is the Nexus 6P. is there any other app you will like to suggest? feel free to write it via the comment box, if found helpful, it might be in the list when the update is released. Remember to share this page with your friends or colleagues. Hey great apps! Its very easy handy app and useful Thanks.